Nazaria Ignacia de Santa Teresa de Jesús, founder of the Congregation of the Missionary Crusaders of the Church. And, of course, there is the outstanding portrayal of Archbishop Romero by actor Raul Julia in the inspiring film, Romero. Pope Paul VI shepherded the Second Vatican Council through to its completion after the death of its convener, St. John XXIII. 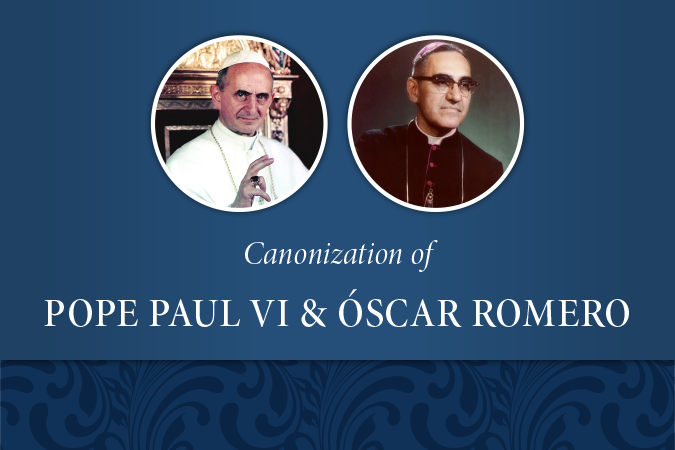 Paul VI penned what many consider the “Magna Carta” of evangelization—his encyclical Evangelii Nuntiandi, a must-read for anyone in pastoral ministry. And, just as some concert events add another name to the list of performers, Pope Francis announced that he has added an Italian teenager to the list of those he will canonize on October 14: Blessed Nunzio Sulprizio, considered the protector of invalids and victims of work accidents.